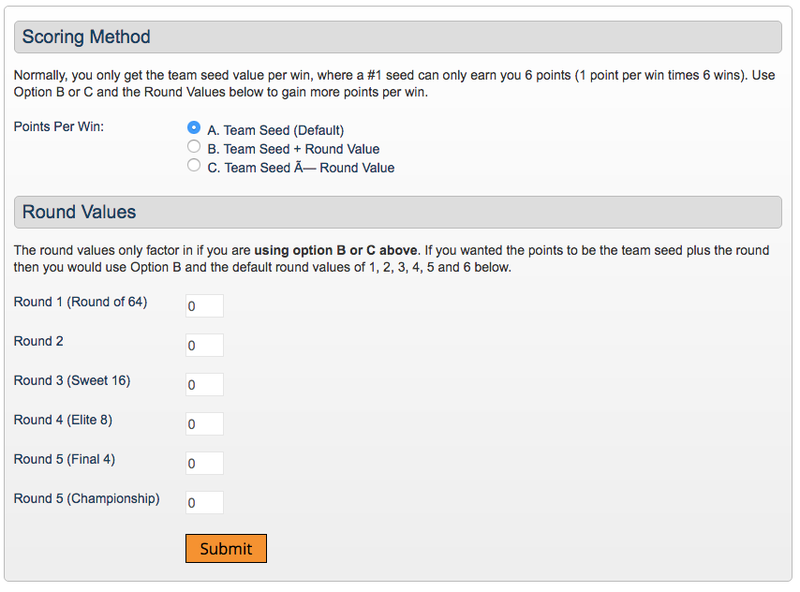 Choose 8 teams (or any number you specify) and get their seed value for each win. 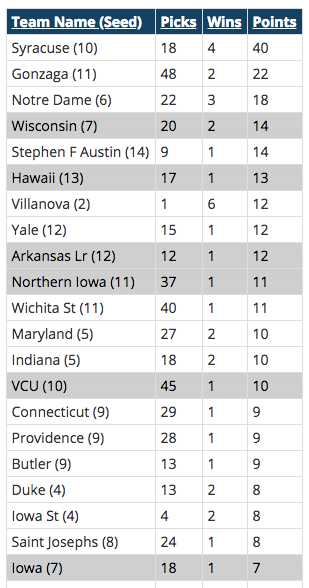 Under the default scoring system, an #8 seed with 2 wins = 16 points and a #1 seed with 6 wins (NCAA Champion) = 6 points. There are several other scoring options with custom values. With the default scoring, you get the seed value in points for each win. This is the most popular option, but if you want to mix things up a bit, you can tweak the scoring options. Standings update immediately as each game ends. 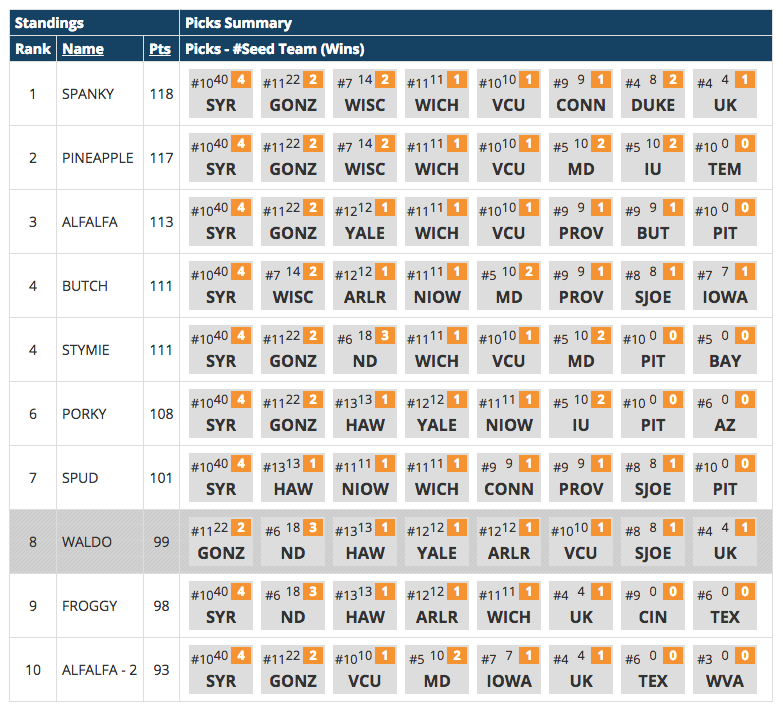 Picks are shown with seed value and number of wins. This page provides statistics by team, the number of people who picked each team, current wins for eavery team in the tournament and the number of points (based on team seed) that each team has generated. 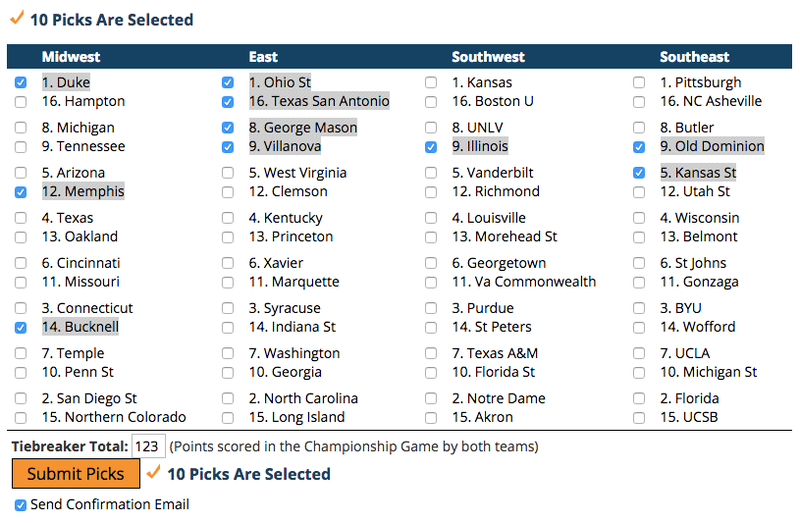 Your picks are highlighted in gray.